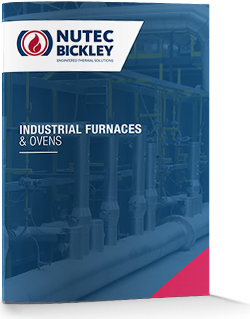 Nutec Bickley Walking beam furnaces fabrication provides continuous production rates in custom designs to match customer production and process requirements. The handling system of this type of furnace (fixed beams and walking beams) can be made with hard refractory material, or with high temperature steel alloys in custom shapes according to the size of the product. Walking hearth beams with heavy duty precast refractory designs with high resistance. Customized walking beams alloy designs according with size and shape of product.